Ryan’s Grocery's flagship store is located at 29 Binjai Park, a prestigious residential area with various International Schools and Country Clubs nearby. A specialty store that prides itself on having the freshest and best selection of fruits, meats, vegetables and exclusive groceries, it retails an extensive range of organic, free range, hormones and antibiotics free meats sourced from certified producers. Armed with a butchery onsite, it offers housemade sausages, value-added meats and different cuts to suit every culinary requests or needs. 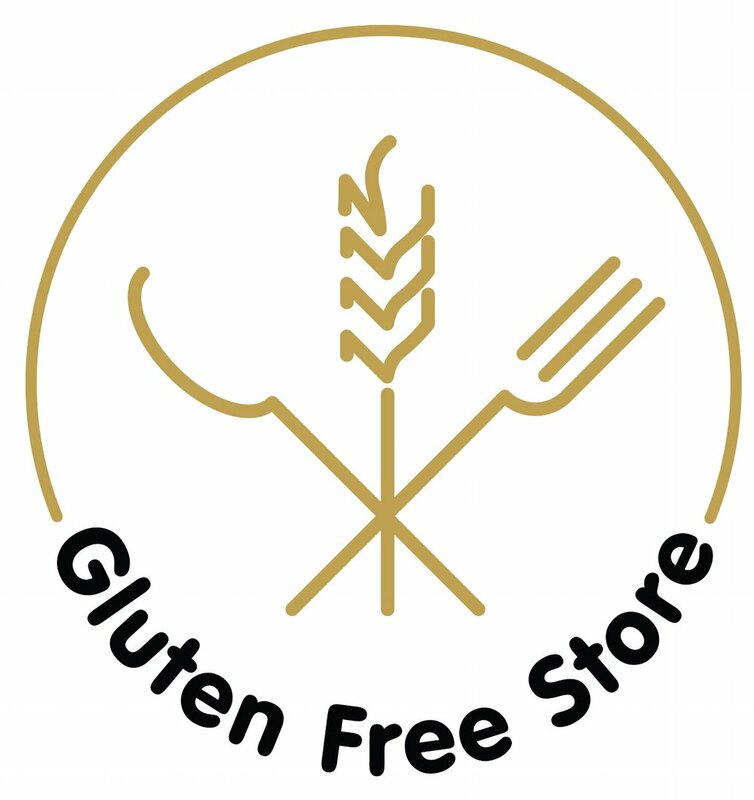 GlutenFreeStore.sg is an online retail platform empathetic to consumers with dietary restrictions. Gluten, unlike other allergens, is not easily detectable unless specified. Products found on this website are selected only after careful vetting and assurance from their producers. "The Pensini family has been raising cattle in Western Australia since 1920. While our herd has moved from the market gardens of Perth to the fertile pastures of the Blackwood Valley in the South West of Western Australia, the way they're raised is virtually unchanged. Great-grandfather, Giovanni Pensini, followed Slow Food principles before the term was coined. We uphold them by ensuring our cattle are hand selected, exclusively grass-fed and raised in a low stress environment on our Australian Certified Organic farm. Artificial growth hormones and antibiotics are never used. Not only do they live a good life, they live a much longer life than standard beef animals, allowing more time for natural flavours to develop. Apart from tasting better, grass-fed beef has higher levels of good Omega 3 fatty acids and lower levels of not so beneficial Omega 6. We're immensely proud of the organic premium beef we produce....."
Warren Pensini, owner of Blackwood Valley Beef. Like most of the best things in life, the secret to Cleaver’s success is surprisingly simple. Cleaver’s was built on good, old-fashioned values from day one. Starting from a humble suburban butchers store in Sydney, Cleaver’s products are now stocked in supermarkets across Australia. We achieved this by never losing sight of what we set out to do, which was to provide families with the tastiest healthy and ethical products. To this day we are run by passionate people who take tremendous pride in what they do. We continue to partner with the same farming families who supplied our founding store. At Cleaver’s we believe farmers are custodians of the land. By respecting and supporting them, Cleaver’s helps ensure their farms will remain viable and productive for generations to come. Cleaver’s products are all from animals humanely raised in a free range environment where added hormones are never used. Our gold medal winning Collinson & Co Black Angus beef represents the pinnacle of grass fed beef eating experiences. Refined by generations of Australian farmers, our Southern Australian Angus cattle genetics are truly superior when it comes to producing beef. Our no compromise attitude to sourcing only the best grass fed, hormone free Angus cattle ensures that the flavour, juiciness and tenderness of our Collinson & Co Angus beef is our mark of distinction. Our Angus cattle are sourced from Southern Australia where the lush pastures, abundant rainfall and cool temperatures provide the perfect environment for producing our magnificent grass fed, naturally marbled Angus beef. The richer beef taste and superior tenderness as a result of the cattle’s natural diet and stress-free lifestyle makes all the difference in eating quality. Grass fed beef is distinctly different eating experience to grain fed beef and is low in cholesterol and trans fats whilst being naturally rich in nutrients including proteins, iron, zinc and vitamin B.
NAP has been consistently producing premium quality beef for generations. Five Founders beef has been developed overtime through our breeding program which focuses on producing the highest quality beef and greatest eating experience. Our cattle receive the upmost care with no additional hormones and humane handling practices. Born and raised on NAP properties, Five Founders cattle spend their whole of life grazing our pristine pastures, managed and protected through 140 years of sustainable farming. Five Founders natural beef combines generations of experience and care to provide the highest quality beef with the greatest flavour. WX by Rangers Valley is Wagyu, cross bred with the very best genetics to create something new and unique to a market looking for something rare and exclusive. Ours isn’t like other cross bred wagyu. It stands alone as a product because it’s not just about the wagyu component – or the marble score. It’s about a newly developed and artfully crafted evolution. This evolution is equally the wagyu and marble score, plus a deliberate and artful cross breeding – a lineage nexus where one great ancient breed meets another to create a flavour, performance and undeniable quality that’s impossible to define. Melt in the mouth flavour, texture and that mystifying umami, WX by Rangers Valley brings an eating quality unlike other beef. Known for its intelligent cross breeding, resultant marble score and relentlessly buttery mouthfeel, WX is used by Chefs all over the world with exciting results. Bultarra Australian Saltbush Lamb is a unique, distinctive lamb product exported from unique native pastures in Australia. Grazed on the unique Saltbush pastures of the Australian outback. The pristine natural environment means the lamb is infused with an exceptional fresh clean taste. It has a robust and rich flavour while still delicate enough to carry exceptional spice blends. Every animal is carefully selected and the health and welfare is monitored from farm gate to abattoir to export, resulting in complete transparency through the supply chain. Saltbush Lamb has been found to have improved nutritional value due to the Saltbush the lambs consume which is rich in Vitamin E. It is the presence of this powerful anti-oxidant, together with the regional characteristics of the area, which gives the lamb its superb taste, tenderness and health benefits. Bultarra Australian Saltbush Lamb, a unique, distinctive lamb product – is set to revolutionise culinary choices and fine dining preferences at restaurants across the world. Quite simply, Bultarra Australian Saltbush Lamb is the superior lamb product exported from unique native pastures in Australia. Bultarra Australian Saltbush Lambs are grazed on the unique Saltbush based pastures in the pristine natural environment of the Australian outback. The lamb is seasoned on the hoof with robust and rich flavours while still delicate enough to carry exceptional spice blends and an exceptional fresh clean taste. Borrowdale delivers a modern take on traditionally farmed pork of yesteryear, bringing the highest standards of ethical pork production. Borrowdale Free Range Pork is raised on a family owned and operated farm situated on 10,000 acres of lush darling downs farmland in Queensland, Australia. The farms are RSPCA approved and accredited Free Range by APIQ (Australian Pork Industry Quality Assurance Program). Raised in a stress free environment, with the freedom to truffle, play and wallow in the mud, Borrowdale free range pork has taken on the superior flavour and tenderness of pork from a bygone era. With Borrowdale free range pork, you can rediscover the real taste of pork. Silly Yak Foods manufactures a range of high quality bakery goods in a 100% wheat free, 100% gluten free, 100% nut free environment. We do not add artificial colours, flavours or preservatives to any product in our range. We do not use genetically modified ingredients. Our products are predominantly handmade and are of very high quality. Silly Yak Foods is a 100% Australian owned family company. They are passionate about using the very best ingredients and, where possible, we source our ingredients locally. All their products are GM free and baked fresh to our own unique recipes. Now there is no need for anyone to miss out on delicious, handcrafted treats - good for one, good for all. Bodhi’s Bakehouse, a true West Aussie pioneer in ultra-healthy, traditionally hand-crafted baked goods, has been baking since 1981. Their philosophy of producing environmentally sound, high-quality, health-conscious products has baked and matured since 1981 and is now an established favourite, available all across WA. Bodhi’s Bakehouse line of products are vegan friendly, gluten free, wheat free, soy free, yeast free, egg free, dairy free and nut free. Rick Grant (aka ‘Uncle Rick’) is the most experienced gluten-free chef in Australia today. Since Rick’s wide Rhonda was diagnosed with coeliac disease in 1984, he has been searching and developing many alternative flours and techniques which have enabled him to create over 200 delicious recipes during this time. Rick has also opened and operated three renowned ‘Uncle Rick’s Coeliac Heaven’ Bakeries. In 2006 he branched out into the mainstream market and joined with Patties Food and now supplies ten gluten-free products to supermarkets Australia-wide. Rick’s latest venture is to produce a range of gluten-free flour blends and mixes. OraSì drinks are natural and transparent. 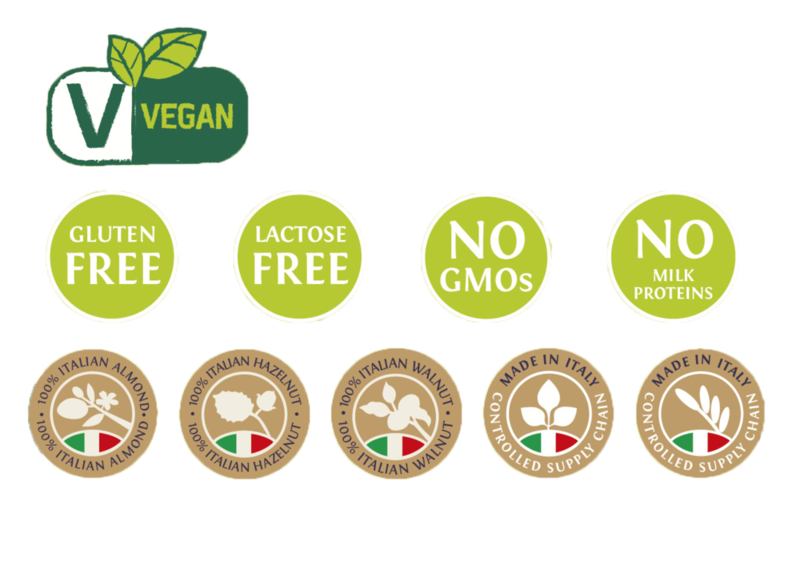 GMO-free certified, the range is grown and controlled by qualified farmers: a 100% Italian controlled and certified agricultural supply chain. It is synonymous with genuine: soy and rice are grown in our own fields, just a few miles away from production facilities of Unigrà, located in Ravenna(Northern Italy). Our oils have the authentic taste of FRESH olive oil, bottled asap after milling; nothing compares in the shops. It's a completely different taste experience (unless you know an olive farmer...). Our oils are always new season, unfiltered, and from single estates so unblended. Once upon a farm, there were three people: a scientist, an agronomist and an accountant. They shared one thing in common – they were all farmers. One day, as they nattered about crop yields, weather forecasts and grain prices they had a fanciful idea: three farmers growing a superfood under an Australian sun, and a dream was born. So enjoy your quinoa, it’s brimming with goodness and, in the eating, you’re wrapped up in a story that’s only just beginning. Seamore’s founder mistook seaweed for pasta, loved the experience and decided to fool the rest of the world with ‘I sea pasta’. I sea pasta looks like tagliatelle but is 100% wild, handpicked seaweed from Connemara, Ireland. Inspired, he searched and found another magical seaweed. I sea bacon is a 100% wild, organic seaweed that turns into (green) bacon when you fry it.